The Contest Leaderboard has been created to gather the best contest players in one place! The top 100 players with the highest score are now displayed in the Contest Leaderboard section. This feature is available for all players starting from level 200. Each week, earned scores reset and the top 3 players get on the honour roll. There is a countdown clock which shows the time remaining fora contest leaderboard reset. You can check your current score at the bottom of the leaderboard. For more information click on the "i" symbol. Participate in the Contest to gain the score! Your score depends on your place in the contest and its prize pool. The larger the prize pool and the higher your place is, the bigger score you get! Your multiplier depends on your place in the contest. 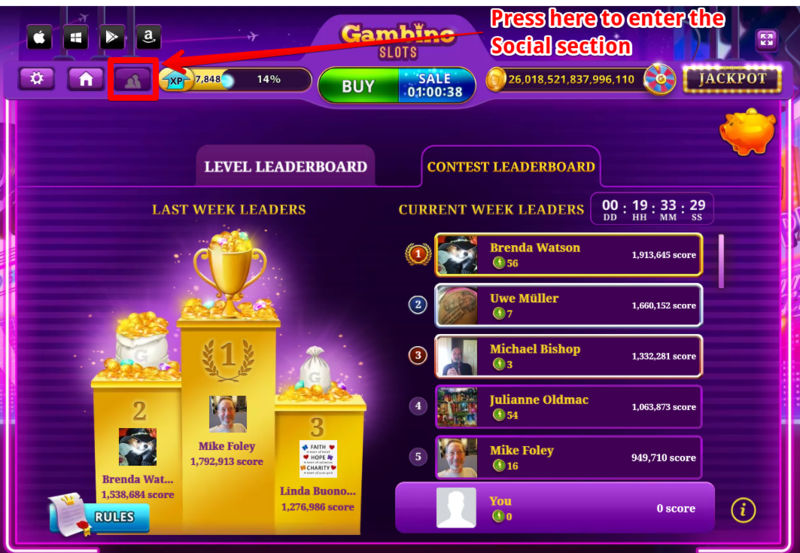 You can check your multiplier on the board of participants. If you join any contest before the Contest Leaderboard feature becomes available to you (when you switch from level 199 to 200), your score won't be taken into account even if you reach level 200 during the contest.